With technology, as in the rest of life, eternal verities have a funny way of turning out not to be so eternal after all. For eons, everybody has known that Google is hopelessly inept when it comes to building social-networking services. Each one it has unveiled has seemed to confirm that truism, from Wave (shuttered 2½ months after opening to the public) to Buzz (still extant, but famous mostly for the uproar over its shoddy privacy practices). Last week, the search-engine kingpin announced Google+, its latest attempt to muscle its way into the people-centric territory where Facebook and Twitter reign supreme. Rather than launch this offering with a prematurely triumphant media event like the ones it gave Wave and Buzz, Google alerted the world to Google+'s existence via a modest blog post and a few videos. Then it began a closed field test and let in a bunch of bloggers and journalists  some of the same folks who have delighted in bashing the company for its lack of social skills. And ... they liked it! A lot! It's too early to declare Google+ a success. For one thing, it's still not fully open to the public. (Google has been admitting newcomers in small, sporadic batches; you can get on the waitlist at plus.google.com.) For another, it's an unapologetic work in progress. But it has enormous potential  both to be a cool online destination and to redefine the dynamics of the ongoing battle between the Web's biggest companies. Already, it's having an impact. Facebook unveiled a new person-to-person video-calling service in partnership with Skype this week, but the fact that Google+'s Hangout feature permits up to 10 people to chat via Webcam made Facebook's news less of a big whoop. 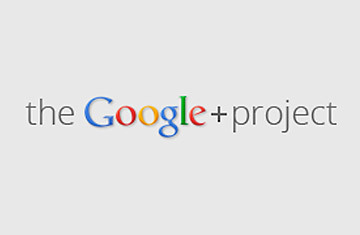 Google calls Google+ a "project," which is about right. It's not one thing but several of them loosely stitched together and with existing Google services like the Picasa photo-sharing service. Some of it is cribbed directly from Facebook. The Stream is Facebook's News Feed, Posts are the Wall, and the +1 button is a shameless imitation of the Facebook Like button that's been pressed billions of times all over the Web. Google+ replicates only a fraction of Facebook, though, and it offers several things that Facebook doesn't  like Sparks, a special-interest search engine that helps you find stuff on the Web to share with your pals, with topics ranging from recipes to robotics. It also borrows a fundamental principle from Twitter rather than Facebook: you can follow other members without seeking their permission, and it's a unidirectional action that doesn't require them to follow you back. At the moment, Google+'s population is so small and homogeneous that it's tough to properly evaluate Circles. But they could be a boon from both the standpoint of privacy and making Google+ a place where the conversation is relevant rather than random. Want to share photos of your kids with family members and nobody else? That's a cakewalk. So is discussing your high school reunion with just your classmates and not with co-workers who couldn't care less about it. It's a strikingly different emphasis than the one at Facebook, where privacy is possible but public sharing is clearly encouraged  and where repeated dustups over the company's handling of personal information have left some folks permanently cynical about its intent. The way Circles look is as noteworthy as the way they behave. Google has given them an inventive user interface, masterminded by legendary software wizard Andy Hertzfeld, one of the inventors of the Macintosh. Friends and potential friends appear on tiny cards that you can drag into the appropriate Circle, whereupon the people in question spin into place like digits on a rotary-dial phone. Facebook founder Mark Zuckerberg is fond of describing his brainchild as a "utility," and its look and feel are, indeed, utilitarian; Google+'s playful touches help give it its own character. Right now, Google+ has a Garden of Eden feel about it, especially compared with the overdeveloped, uncontrolled sprawl of Facebook. It's inhabited primarily by Google+ enthusiasts who spend most of their time praising the service and suggesting ways to make it even better. Celebs and big-name brands have yet to discover it, and there are no distant cousins sharing videos of windsurfing pigs or allowing FarmVille to pelt you with auto-generated crop updates. Actually, there's no auto-generated anything on Google+: it consists entirely of items generated by a human being, which gives it a refreshingly humane, handcrafted flavor. Google, of course, isn't interested in operating Google+ as a salon where a handful of agreeable geeks wax enthusiastic about Google+. The very name "Google+" indicates the audacity of its ambition: this could be the future of the whole company. So it's a safe bet that Google is going to stuff the service with new features. It's going to open the platform up so game companies and others can build apps on top of it. It's going to do everything in its power to deeply integrate Google+ with other Google offerings and encourage as many people as possible to give it a whirl. For us charter Google+ members, that's a scary proposition: a fully fleshed-out version might devolve into a variant of Facebook. Nobody needs that. But if Google+ gets big without losing its personality, it would be good for both Google and consumers. Heck, it might even be good for Facebook, which could use the motivating power that only an archrival can provide. Consider the conventional wisdom about Google's social-networking incompetence shattered  and stay tuned. McCracken blogs about personal technology at Technologizer, which he founded in 2008 after nearly two decades as a tech journalist; on Twitter, he's @harrymccracken. His column, also called Technologizer, appears every Thursday on TIME.com.